The office vacancy rate in the Rosslyn-Ballston corridor continued to recover in 2017, with new tenants moving in this year expected to maintain that recovery. Commercial real estate firm JLL found that the recovery continued for the third straight year, after tenants moved out in droves from 2009 to 2014 following BRAC and sequestration at the federal level. That contributed to Arlington County’s total office vacancy rate being at 22.7 percent in 2017. 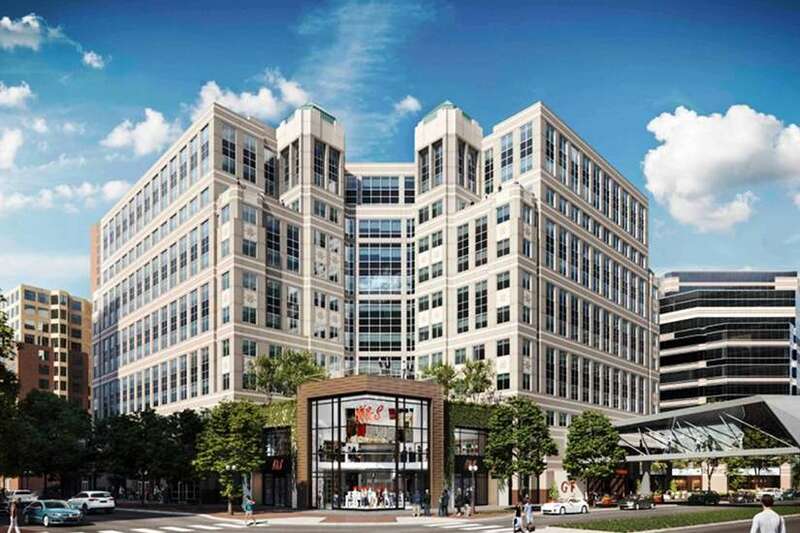 And this year, JLL said the arrival of Nestle in Rosslyn as well as the redevelopment of the Ballston Exchange — formerly known as Stafford Place and the previous headquarters of the National Science Foundation — and Ballston Quarter Mall will help drive down that office vacancy rate. Rosslyn is set to add occupants in 500,000 square feet of vacant office space this year, including the likes of the Grocery Manufacturers Association, which is relocating from D.C. Although with a 29 percent office vacancy rate at the extremes of the corridor, it is not all good news. A previous JLL report found that office rent is highest on Wilson Blvd in Rosslyn and increasing, due to new high-end “trophy class” offices coming online, as well as the unobstructed views of Washington, D.C. and the Potomac River. And locating close to Metro stations is still pushing rent up on office space across Northern Virginia by up to 34 percent, according to JLL. It also found that all of the new office space being constructed is close to Metro. But despite the positives, the Northern Virginia region as a whole is still struggling, with a 20-year historical high for office vacancies and not much improvement forecast in the coming years. Fairfax County’s office vacancy rate of 21.1 percent is second behind Arlington, followed by Alexandria (19 percent), Loudoun County (16.6 percent) and Prince William County (15.6 percent). The lowest vacancy rate close to D.C. is in Frederick County, Maryland, which has a 9.1 percent vacancy rate. “The forecast broadly is not likely to shift greatly from today as slower demand caused by limited near-term lease expirations, limited economic diversification outside of the core government and contractor drivers and a dysfunctional Congress will keep supply-demand fundamentals relatively flat,” John Sikaitis, managing director for research at JLL, wrote in a presentation on the findings.